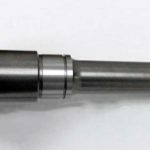 Shot peening is a cold metal working process, wherein small, spherical media (metal, glass or ceramic), called “shot” are bombarded on to a metal surface with enough force to cause plastic deformation. 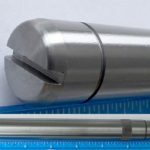 The shot causes dimples on the metal surface, and results in high compressive stress in the area directly beneath these dents. The stress crowds the atoms on the surface, which then try to restore the surface to its original shape by pushing outwards and squeezing the grain boundaries of the surface material together. The stretched surface pulls the atoms deeper in the metal upwards towards the surface. The deeper atoms resist the pull, and the resultant tension balances out the compressive stress on the surface, thus strengthening it. Shot peening is not a new process; evidence of mechanical pre-stressing dating back to 2700 BC has been found in Mesopotamia. Peening hammers were commonly used down the ages, but it was only in the late 20th century that the peening process began to evolve, with the increasing use of shot and more controlled impacting. The greatest benefit of shot peening is the improvement of fatigue life of the metal part. 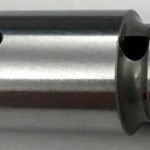 The manufacturing of a metal part via precision machining, forging, die casting, etc., or subjecting a part post-formation to dynamic loading, can cause internal stress concentrations, leading to fatigue failure, porosity, diminished strength and corrosion. By enhancing the compressive stress layer on the surface, the underlying tensile strength is also improved. 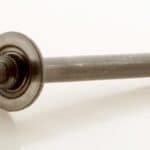 Also, since cracks usually develop at the surface of a metal part, the strengthened surface prevents stress cracking and corrosion to a considerable extent. Shot peening also has other benefits, such has producing a more uniform surface for platings and special coatings, reducing casting porosity, and straightening parts and distortions. Gears, due to their very nature, are constantly under stress and therefore benefit greatly from shot peening. Peening helps to improve the lubricity and oil retention of the gear, especially where used in engine pistons and cylinder walls. 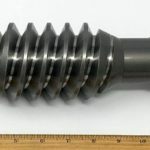 In addition, shot peening done in the ‘green’ state helps eliminate continuous machine marks on the gear tooth flank, thereby reducing stress risers. By increasing the strength of the metal, shot peening allows manufacturers to use alternative, cheaper materials to produce the same level of hardness desired for the application. This enables manufacturers to meet customer and federal requirements for high output, long life and lighter weight vehicles that improve fuel efficiency. 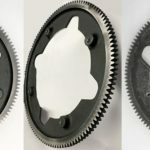 Given that a gear tooth is basically a cantilevered beam, it is but natural that most of the cyclical load would fall on the root fillets of the gear, and therefore that was usually the most important part of the gear to be shot peened. Peening the root fillets leads to reduced pitting and an extended gear life; it also improves the bending strength. Recently, NASA conducted two separate tests that demonstrated how shot peening can extend the surface fatigue life of the tooth face as well. In the first test, carburized and hardened AISI 9310 spur gears were subjected to shot-peening at a gear temperature of 350 K (170° F), a maximum Hertz stress of 1.71 x 109 N/m2 (248,000 psi), and a speed of 10,000 rpm. The shot-peened gears exhibited pitting fatigue lives 1.6 times the life of the standard gears without shot peening. 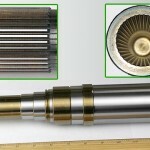 In a second test conducted a decade later, NASA intensified the shot-peening of the gears, both at a medium intensity of 7-9A and at a high intensity of 15-17A, other test conditions remaining the same. 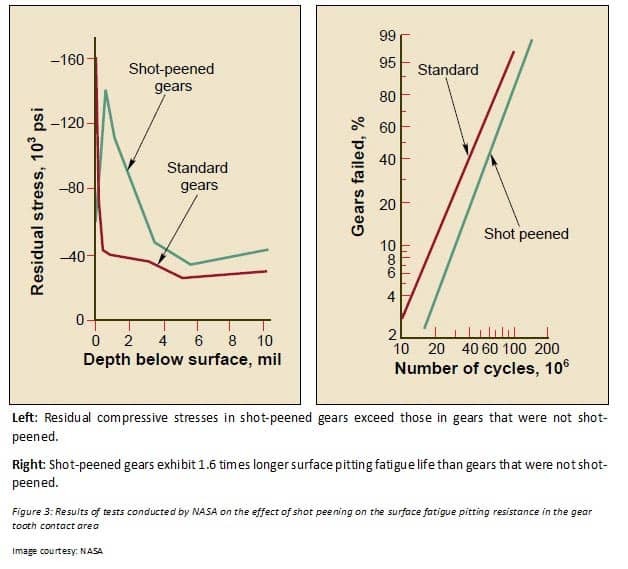 The residual compressive stresses for the high-intensity shot-peened gears were 57% higher than that for the medium-intensity shot-peened gears, with the former exhibiting a surface fatigue life 2.13 times that of the latter. 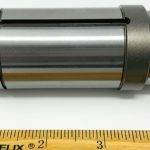 These findings encouraged auto manufacturers to begin to shot-peen all the gears, whether made of alloyed or moly steel, chrome, nickel, in the vehicles they sold. 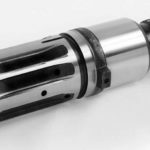 Not surprisingly, aircraft components such as landing gear, helicopter blades, gear teeth, drive shafts, torsion bars, axles, rotors, compressors, and turbine blades, are routinely shot-peened to improve their surface hardness and increase fatigue life. 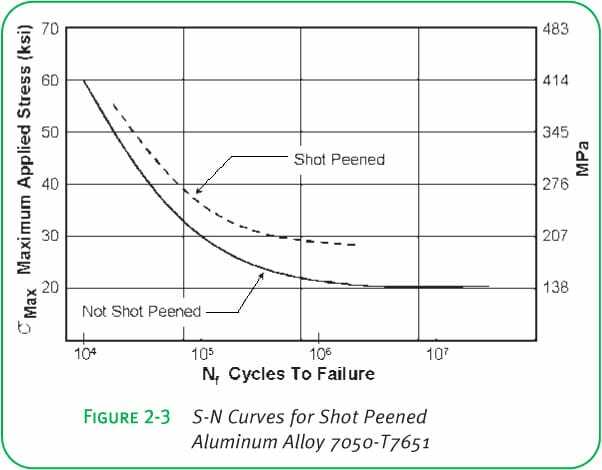 Thus, while earlier, shot peening a machine part could be lead to the assumption that the part had at some time earlier demonstrated a certain level of fatigue failure that needed to be addressed, today shot peening is considered a de facto means to improve fatigue strength. In addition, with the increasing demand in the automobile and large vehicle industries for lightweight materials with excellent surface strength, we expect to see increasing use of shot peening in the years to come. Shot peening not only improves the fatigue life, but can also improve the load bearing capacity of the gear, by as much as 20%. Peening increases the bending strength of the tooth fillet area which in turn improves the load bearing capacity. 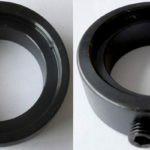 Additionally, lubrication is applied to create oil reservoirs in the dimples created by the shot, which can help to eliminate bushing under some gears, and replace tin plating in other cases. For shot peening to be most effective, factors such as shot composition, size and velocity, as well as area of coverage should be carefully controlled. 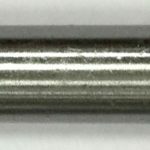 While shot can be made of metal, ceramic or glass as mentioned earlier, hard steel between 45 to 65 Rc is the material of choice to peen gears. The shot should be spherical and non-porous, while the size of the shot should not be bigger than ½ the radius of the smallest filler of the gear, in order to ensure optimal coverage. Generally, gears require 100% coverage, but due to their complex shapes, a single shot peening pass is seldom enough. Hence, 200% coverage is usually prescribed for most gears. The maximum peening intensity is when the shot stream is perpendicular to the surface to be peened. Again, due to the complexity of gear shapes, perpendicularity may not always be possible, and the shot stream is either directed from multiple positions around the gear, or the gear itself is rotated to ensure maximum and even coverage. 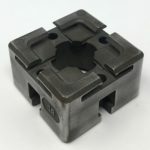 Moderately sized spur and helical gears are normally stacked and peened in the indexed position, allowing for high volume peening. The main shot stream is horizontal to the gear stack. For bevel gears, the shot stream is horizontal to the root cone, while large-faced large gears are rotated on their own axes while the peen is directed at the root fillet and flank.